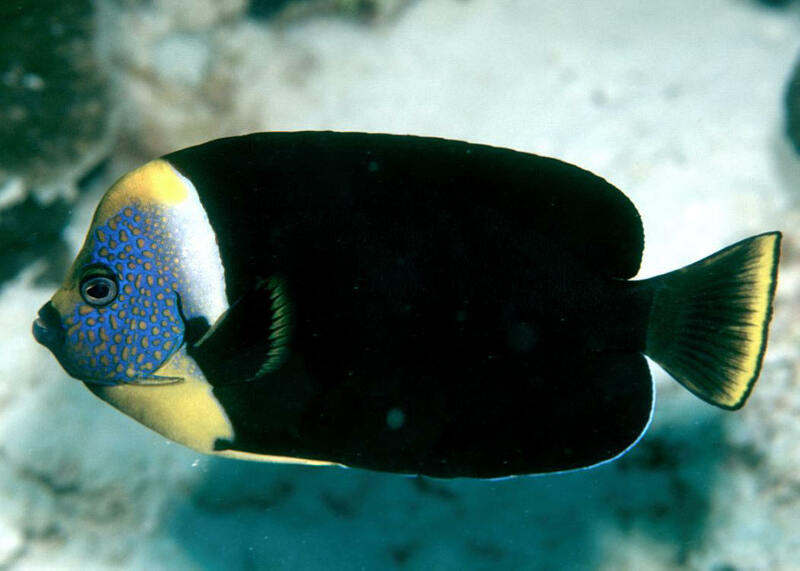 Chaetodontoplus personifer (McCulloch 1914), the Personifer Angelfish (2)... which used to be "the" fish of this genus to have. To thirteen inches overall length. North coast of Australia, separate from the similar C. meredithi. Aq. pic. 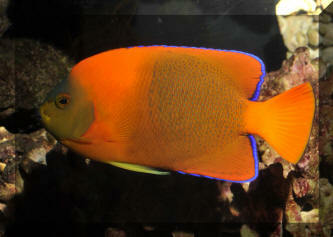 Holacanthus clarionensis Gilbert 1891, the Clarion Angelfish (1). Found at the tip of southern Baja on down to scattered islands as far south as Clipperton. To eight inches in length. A rare beauty that demands a well-deserved high price. 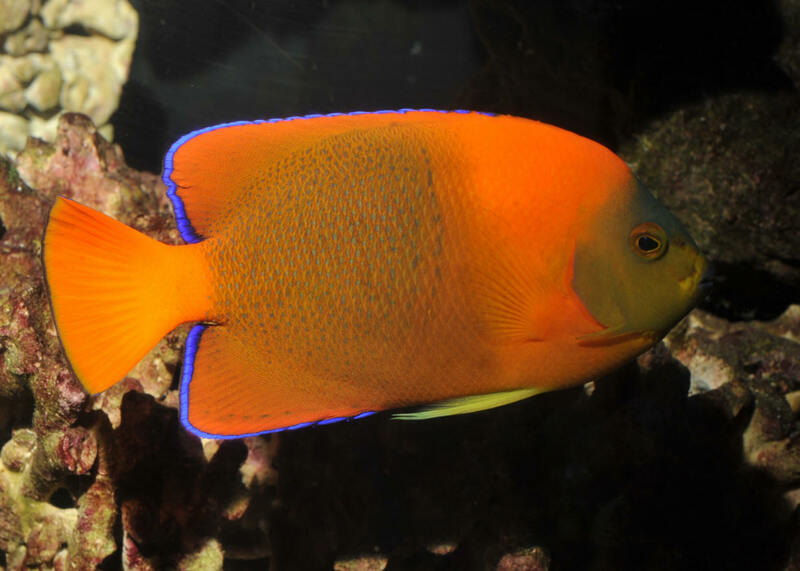 An adult out at friend Rob Bray's shop House of Fins in CT.
Holacanthus ciliaris (Linnaeus 1758), the Queen Angelfish (1). A true queen of fishes. To seventeen inches in the wild. Florida to Brazil in the tropical west Atlantic. 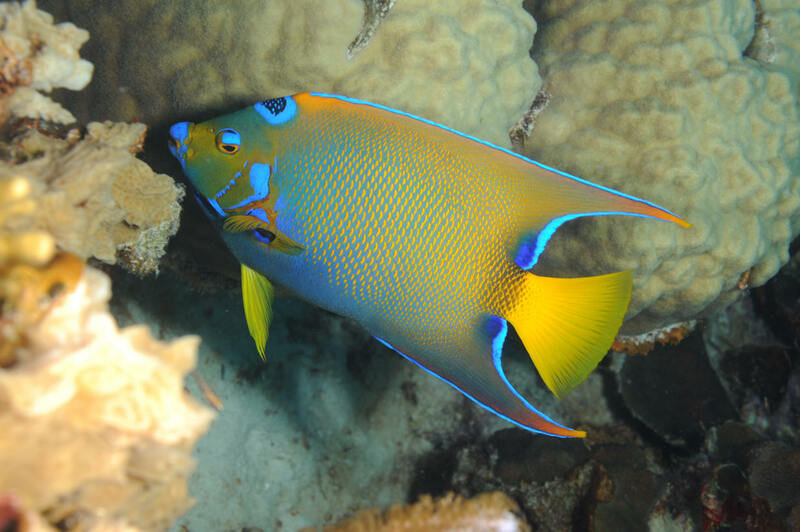 A semi-adult out off Bonaire. 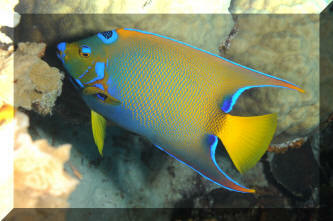 Holacanthus ciliaris (Linnaeus 1758), the Queen Angelfish (1). A true queen of fishes. To seventeen inches in the wild. Florida to Brazil in the tropical west Atlantic. 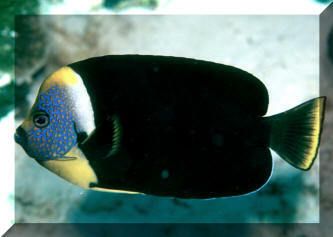 An adult out off Cozumel.